See, my son used to have extreme explosions whenever we told him to turn off electronics or if he thought he should get to play and he didn’t. For a long time we thought he was just being rude or disrespectful, but once we shifted our mind and really started looking at it as this is something he has difficulty with… Everything changed. Going from something that is a desired activity to an undesired activity, like shutting off electronics when he’s having fun or not getting the plan that he thought he was going to get, can be really frustrating for him too. Once we could see his side, we were able to work with him to end the battles over electronics, and we’re sharing exactly how we did that today. For transitions like turning off the game he’s playing, we set up a timer. We worked together and decided that five minutes is enough of a warning, so that’s where we start. Instead of imposing this timeframe that I have in mind, I get his input and make a plan that works for everyone. Think about if you were doing something you really love, and someone came to you in the middle of what you’re doing and made you stop? 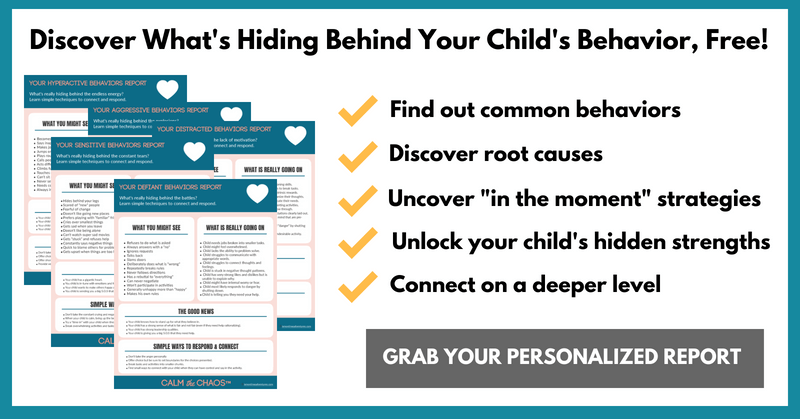 You’d want to finish it before transitioning to something else, so we let our kids do the same thing. What I like to do is just ask how much longer until you think you’re going to be at the end or until you reach your save point? Then we come up with a plan together. One of the first strategies I always try is to make things visual. When we don’t have something visual to remind us, it’s too easy to let things slip our minds. First, we use a visual timer when using the five minute rule. Seeing that timer tick and tick away helps to keep my son focused on his time limit so he isn’t shocked when time is up. The next way we use visuals to end battles over electronics is before we ever start our electronic time. We have a chart that has four things for my son to do, and then once he finishes those four things he can use his electronics. Having a simple visual schedule like that can be a game changer for kids because it helps them know what to expect. We also have set times that we allow electronics, so that he knows exactly what he can expect. He can do electronics before school if he completes his morning routine with enough time, after school, and after dinner. He knows that these are the only times we allow electronics, so he isn’t expecting to play all the time. If he asks to play right before bed, he isn’t surprised when the answer is no. He also knows he has to complete certain tasks before he can do the electronics, because electronics are a privilege that come with responsibilities. The last way we end battles over electronics is setting up expectations for when things don’t go right. Sometimes no matter how good you try to work together, it doesn’t go as planned, right? Sometimes kids have a hard time turning off, even though you’ve set up all the expectations and the rules, and you’ve worked on a plan together. So we have something we’ve created ahead of time. If my son doesn’t turn off electronics without a battle, he doesn’t get his next electronic time. We talk a lot about how electronics are a privilege. They are not a necessity, they’re not something we have to have in life. They are a privilege. And privileges come with expectations, and they come with responsibilities. So if we can’t be responsible, then it’s not really something that we need to be doing. And the important part here is that my son knows this expectation, and he is in agreement… Which brings me to the final way to end battles over electronics. The big thing in all of this is just having the kids on board with you. We brought up the struggle with electronics at one of our family meetings. See, every night at dinner time, we talk about wins, and we talk about a family struggle that we all need to work together on to solve. Whenever we see a reoccurring struggle start to happen, we bring it to a family meeting. Because big struggles can build up even bigger if you don’t take the time to talk about them as a family. And when you’re all working together to solve a problem, without blame, your kids will be more cooperative. So at our family meeting we talked about electronics and how they were causing a challenge for our family. And as a family, we decided that we should implement the strategies outlined in this post. We give a five minute warning, we make it visual, we have set times for electronics, we clearly set the expectations… And the reason those things work is because we got our kids on board. Try to bring up electronics at your next family meeting. Don’t place blame or make it about you taking things away. 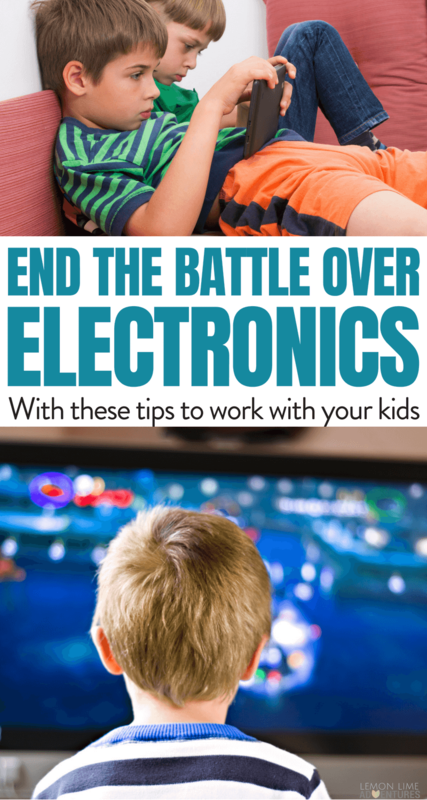 Together you’ll find a solution that works well for everyone, and you can finally put an end to battles over electronics with your kids! 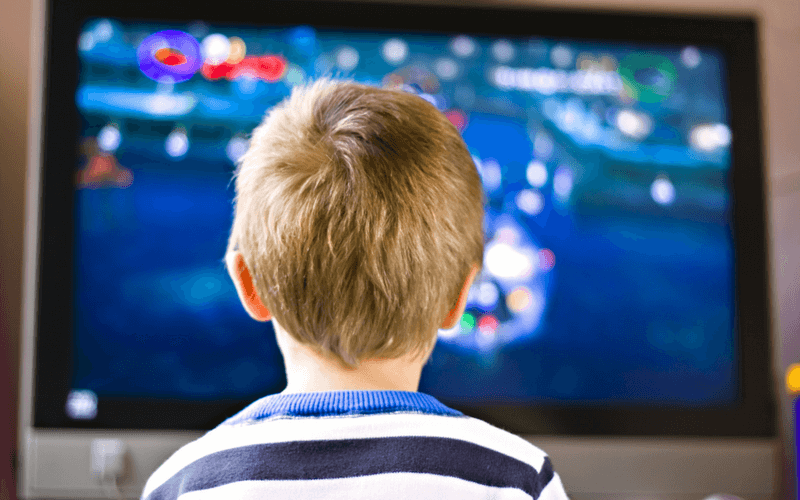 But I’ll be the first to admit… When our kids are slamming doors and screaming at us just because we told them to turn off their electronics, it can feel like our kids are just downright defiant. Want to see the full conversation with my Superkid? Check it out below!